The eyes are the centre of attention during interaction with fellow mankind and therefore any change in the eyes has a profound effect on both the beholder and the person affected by disease. Although coping strategies are often developed by the affected person to limit the embarrassment, many people will seek to address the change in ocular appearance by surgical means. 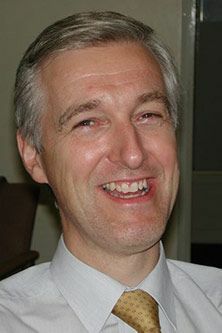 Mr Geoffrey Rose BSc, MBBS, MS, DSc, MRCP, FRCS, FRCOphth was appointed Consultant Surgeon to Moorfields Eye Hospital in 1990, has served as the Director of the Adnexal Service, and is currently the Senior Consultant. The unique clinical case-mix has fuelled wide research interests and publication of over 200 papers and articles. In 2004, he was awarded the Lester Jones Anatomy Award of the American Society of Ophthalmic Plastic and Reconstructive Surgery. He is a Senior Research Fellow of the Biomedical Research Centre of the Institute of Ophthalmology with University College London.